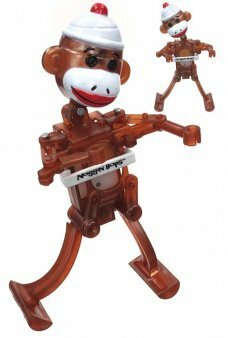 Push the base of our cute Mack the Monkey to make him dance! 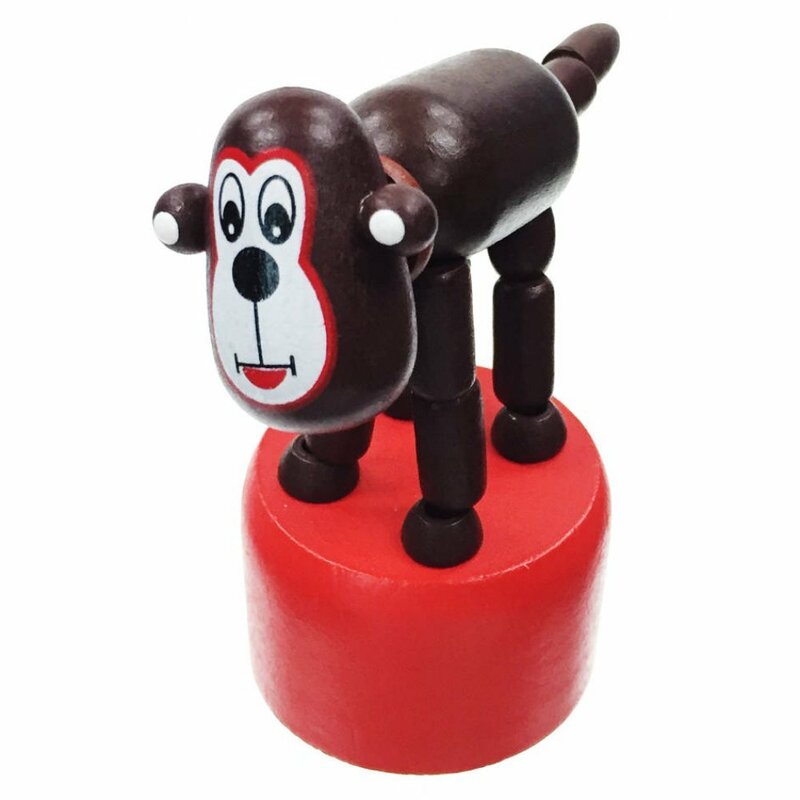 Our classic wooden push puppet is brown with a long tail and a happy face. 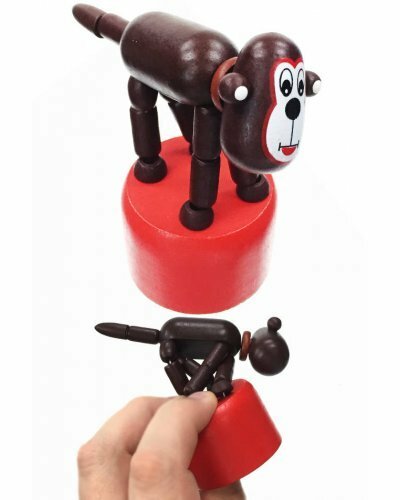 Just push your thumb under Mack's red base to make him wiggle and collapse. 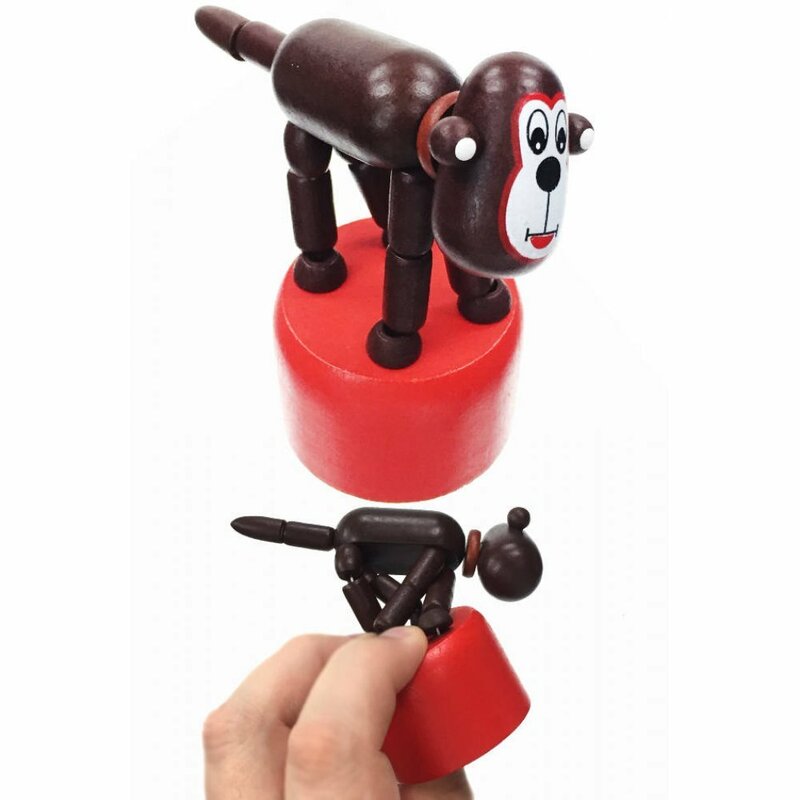 Release your thumb or finger and the magic Monkey pops upright again. Collect all of our cute Push Puppet toys and put on a Safari puppet show! 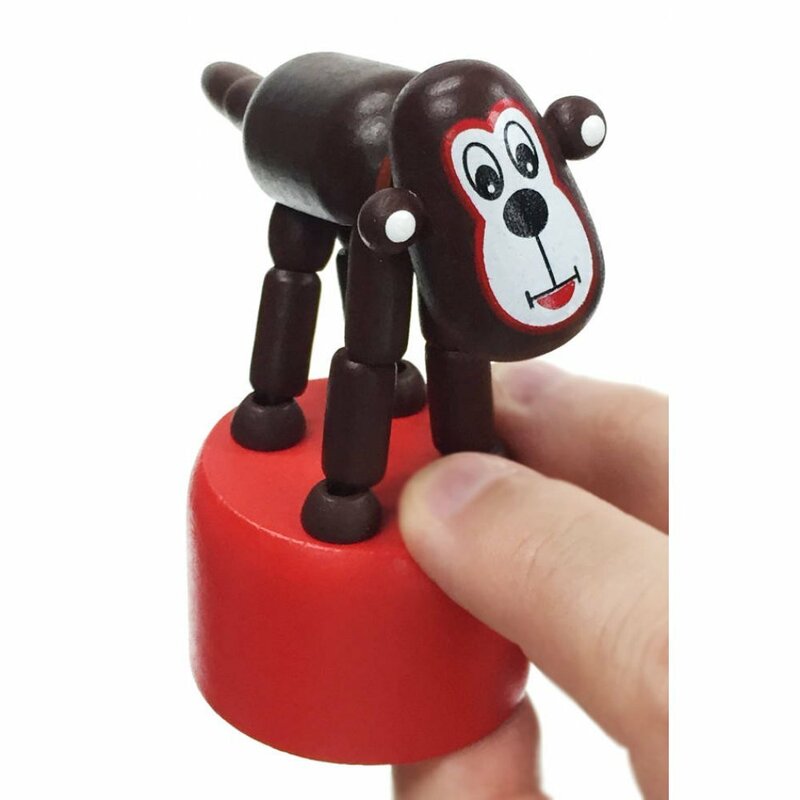 Type: One Wooden Monkey Toy - Hand Painted - No Batteries Required! 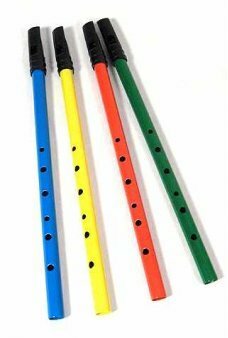 Our Tin Penny Whistle has a color tin neck with a black plastic fipple. 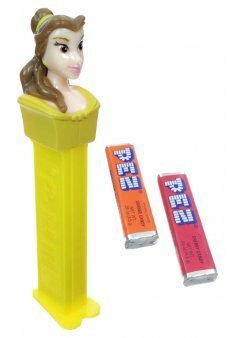 Just place your fingers on t..